The Sgarabhaigh Sixpence forms an important part of a wider project (Friends of Sgarabhaigh) to conserve and share the small Scottish island of Sgarabhaigh which lies in the beautiful Western Isles of Scotland. The coin design is based on an ancient coin of the realm and incorporates a blend of the ancient and modern history of the island as well as three of the ecological cornerstones of the place that is Sgarabhaigh. 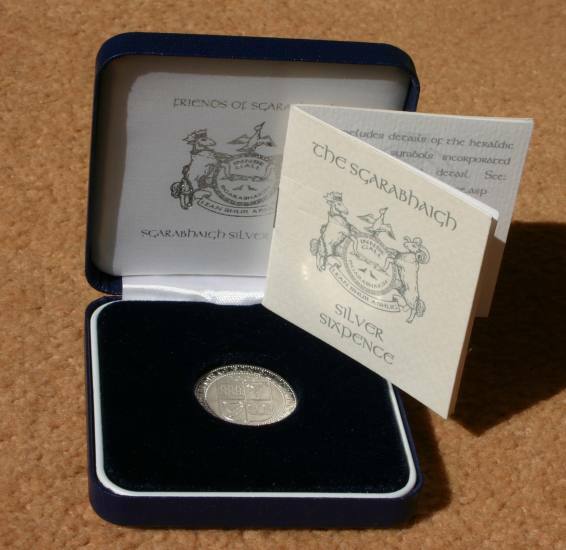 Friends of Sgarabhaigh have minted a coin in 'fine' silver (99.9% pure silver), based on the silver sixpence produced by James VI of Scotland (1588-1625) also James I of England (1603-1625) the first King to unite the crowns of Scotland and England. 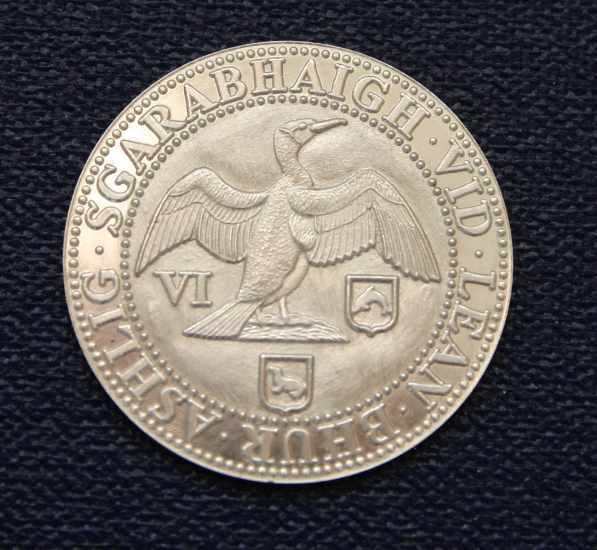 .a 'Britannia' being the traditional UK symbol for silver. 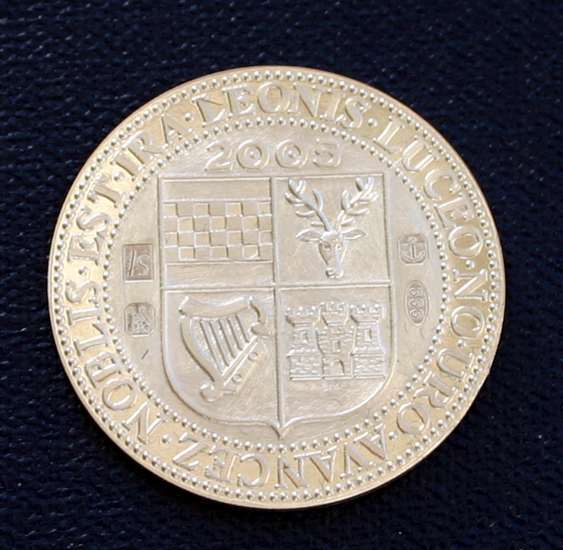 The marks are laser imprinted on the coin to avoid any risk of damage which may occur during the more physical hammer striking process.